President/CEO, Ideal System Solutions, Inc. In 1991, Elise Hernandez graduated from the University of Minnesota with a BA degree in Business, Psychology and Spanish. In 1996 she was awarded a Master of Business Administration in Management degree from Metropolitan State University, College of Management, St. Paul, Minnesota. Elise has over 30 years of technology sales, marketing and management experience, and over 20 years of Government agency contract and project management experience. 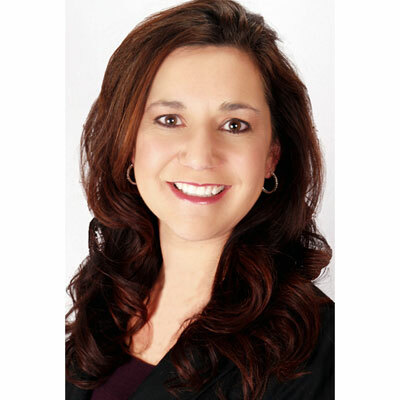 Elise founded Ideal System Solutions, Inc., a leading provider of information technology products, solutions and professional services, in 1997. With offices in Minnesota, New Mexico and the DC area, Ideal offers leading-edge technology solutions to Government agencies, prime contractors, educational institutions and commercial organizations nationwide. With the assistance of organizations such as The Small Business Administration, the Women's Business Development Center, The Procurement Technical Assistance Center, the Women's Business Enterprise National Council and the Metropolitan Economic Development Association, Elise has been able to add services and expand the company due to her networking, certifications and assistance from these organizations. Elise is also a homemaker with a husband and two daughters, an avid outdoor woman, and is involved with multiple charity organizations and community activities. Ideal has been very channel-centric for all of the 21 years we have been in business. Over the past few years, we have strategically made it our priority to strengthen and build our channel relationships as we add more capabilities to our solutions portfolio. The relationships are as important as our customer relationships. Additionally, we have added a Vice President of Business Development and a Vendor Relations Manager to focus on our channel partnerships and programs. Channel partnerships allow us to be more competitive, provide more value and capabilities to our customers and focus on our core capabilities. To continue to strengthen our channel relationships in order to strengthen our capabilities with an end result of increased growth. We will continue to focus on our channel strategy and development of our channel relationships. We are also anticipating the award of additional Government Wide Acquisition Contracts where our channel relationships will play a very important role. While I was attending graduate school, there was a successful woman business owner and philanthropist that strongly advocated for young women pursuing a business career. I was awarded her endowed scholarship based on my passion for business and pursuit of entrepreneurship. Not only did this scholarship provide the means to finish graduate school but also taught me the importance of giving back. You are going to make mistakes in life. Do not view these mistakes as failures, but as an opportunity to learn and grow. I love the quote by George Bernard Shaw, "A life spent making mistakes is not only honorable, but more useful than a life spent doing nothing." To learn how to write applications that solve problems, especially an application that would take care of any time management issues. "The Rooster Bar" by John Grisham - I related to the students and their struggles to put themselves through law school. The book was full of suspense.